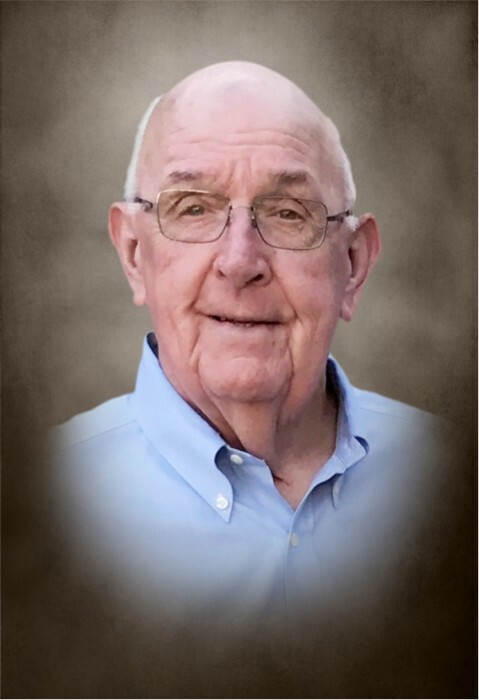 Henry Clifton Bonney passed away on August 15, 2018. He was 82 years old. Henry was born on February 16, 1936, in Yazoo City, Mississippi. He was a standout football player for Yazoo City High School, so much so, his talents attracted the attention of Bud Wilkinson - the legendary football coach for the University of Oklahoma. Upon graduating from high school in 1954, Henry accepted a scholarship to play football for the University of Oklahoma. He was a member of the 1955 National Championship team and part of Bud Wilkinson’s 47 straight victories. He was a member of the Phi Delta Theta fraternity and received a degree in geological engineering and a law degree. Henry’s decision to leave Mississippi for Oklahoma was a difficult one. The lure of the University of Oklahoma was strong, but it would require him to be separated from the love of his life - Willette “Bitsy” Wilkins. They knew, however, that the separation would have no effect on their love and that the opportunity in Oklahoma could not be passed up. They made the tough decision, and Bitsy joined him in Oklahoma after her graduation from college in Mississippi. The two were married, and, in 1961, they chose to make Duncan, Oklahoma, their home. Henry and Bitsy raised three children in Duncan - Carolyn, Laura, and Clifton. Henry built a successful law practice in Duncan and dedicated nearly 60 years of his life helping individuals and businesses on a range of legal matters. He truly loved the law, and his dedication to it afforded him many opportunities. He and Bitsy traveled the world together. They particularly enjoyed their annual Fall trip to Vermont to watch the leaves turn. He was a significant contributor to the University of Oklahoma and assisted in the establishment of numerous scholarship funds. He also contributed to a number of organizations throughout Duncan. Henry enjoyed being surrounded by his family. He and Bitsy arranged for the family to spend Christmas together and attend the OU/Texas football game. They organized family trips every Spring and Summer to such places as Palm Springs, California, and Hilton Head, South Carolina. His goal with these trips was to ensure that his children and grandchildren had a memorable trip. On May 4, 2018, Henry found himself separated from Bitsy once again when she passed away. Like before, this separation had no effect on their love for one another. And, like before, they are together again. Henry was an amazing husband, father and grandfather. He is survived by his daughter Carolyn Bonney Campbell and her husband Jed Campbell; his daughter Laura Bonney Lewis and her husband James Lewis; his son Henry Clifton Bonney, Jr. and his wife Stacy Bonney; grandchildren Claire Bonney Campbell, John Edward Campbell III, Elizabeth Carolyn Lewis, Hannah Jeanette Lewis, Ryan James Lewis, Henry Clifton Bonney III, and Charles Ethan Bonney. He is also survived by his older sister, Carolyn Castleman, and his sister-in-law Carolyn Best. He was preceded in death by his loving wife Willette “Bitsy” Bonney and his parents Christine Brooks and J.K. Bonney. Services are under the direction of Don Grantham Funeral Home. The family will visit with friends on Tuesday, August 21, 2018, between the hours of 5:00 pm and 7:30 pm at the funeral home. The family will hold a private graveside service. Pallbearers will be Tom McCasland, Jr., Fallis Beall, Tommy Jones, Dr. Robert James Weedn, Mike Weaver, Ron Corley, Carey Murdock, and Dr. David Kendrick. In lieu of flowers, the family suggests contributions to Duncan Regional Hospital Health Foundation, P.O. Box 2000, Duncan, Oklahoma, 73534 and to the University of Oklahoma Foundation, P.O. Box 258856, Oklahoma City, Oklahoma, 73125-8856.